Let your customers sell your service for you for free and gain free exposure to uncharted audiences. What does your module do? Our module is NOT a promotion coupon system. 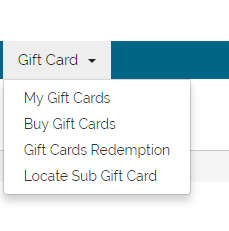 The module is a newly created module to let you create/sell/manage Gift Cards from within your WHMCS install. Each created Gift Card have it's own face value to it. Visitors or existing clients can redeem the face value on the gift certificate and add it to their account as usable credits. What can the credit on the card be used for? Gift Card credits can be used to purchase any products, hosting service, or any other service you offer. As long as it is listed in your WHMCS. The redeemer of the GC can use with it! Card can be emailed out to friends and family! Good module well develop, responsive support. The module does it's job 5/5.